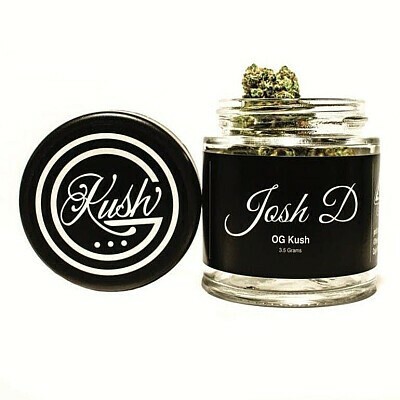 Fresh off a 2018 Emerald Cup victory (2nd place in the mixed-light category), Josh D's Original OG Kush is making its debut into the legal California cannabis scene. OG Kush is known for its pure potency which sparks an unparalleled expansive, inspired long-lasting experience for new and veteran cannabis users alike. The plant's genetics stretch back to the Hindu Kush Mountains of Afghanistan and serve as the cornerstone to countless Kush Hybrids that have been inspired by its tried-and-true effect - a heady euphoric and energetic clarity with a full-body floaty feel.